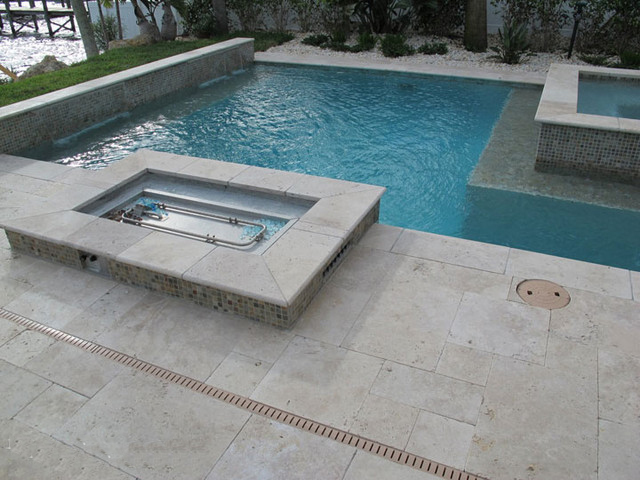 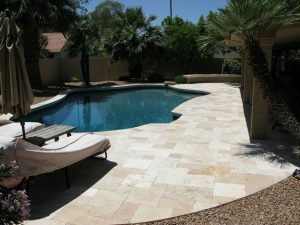 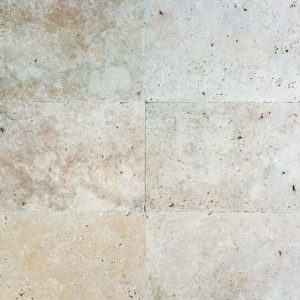 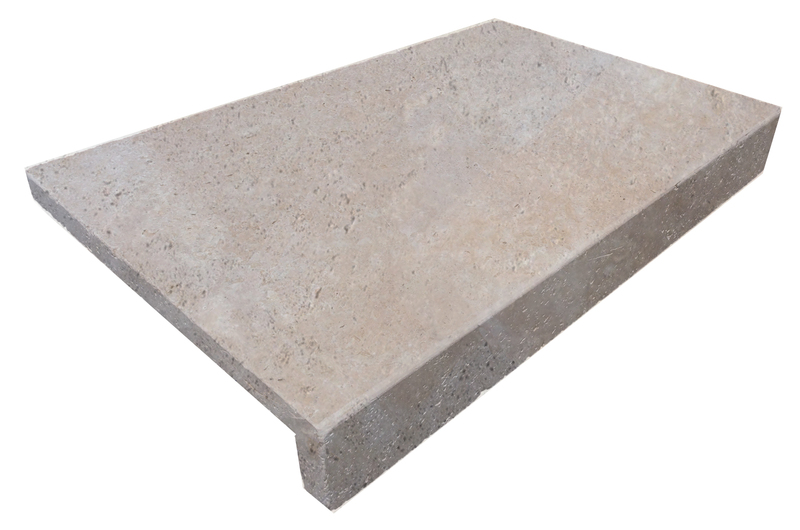 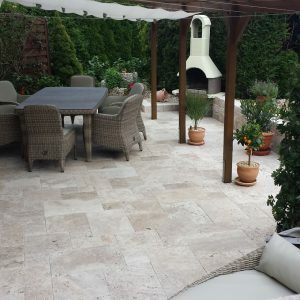 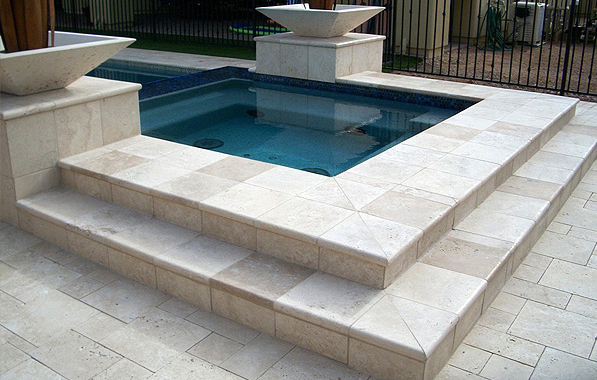 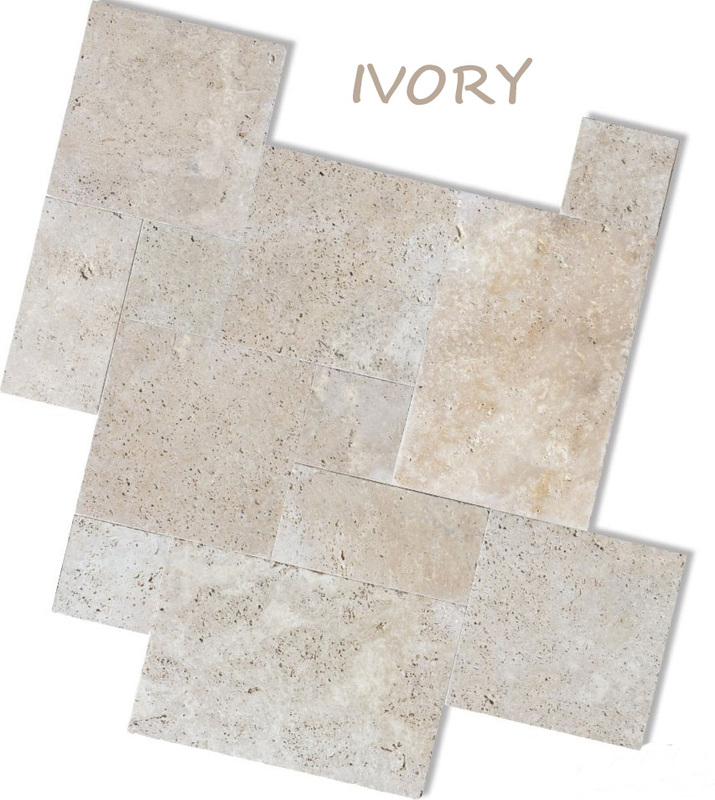 OUR STANDARD GRADE IVORY TRAVERTINE TILES AND PAVERS TUMBLED AND UNFILLED WITH A NON SLIP BRUSHED SURFACE. 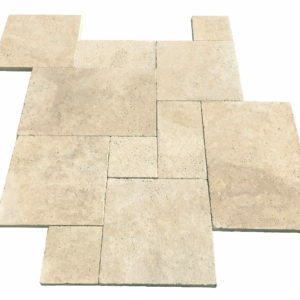 AVAILABLE IN FRENCH PATTERN ( IMAGE) AND ALSO AS STANDARD TILES. 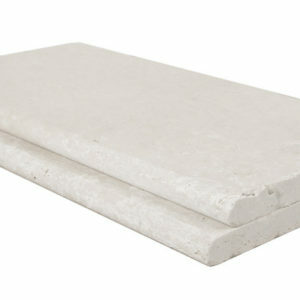 This material is STANDARD GRADE and will have surface pores along with occasional small surface holes that can travel through the material from top to bottom. 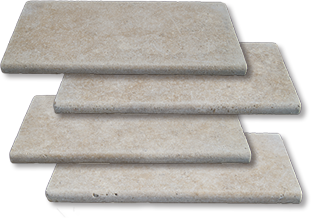 You can leave these unfilled or simply fill them with our colour matching grout.